John Yoder assembles overhead cabinets for a travel trailer at the Jayco RV factory in Middlebury, Indiana. Jayco's production is about half of what it was a year ago. 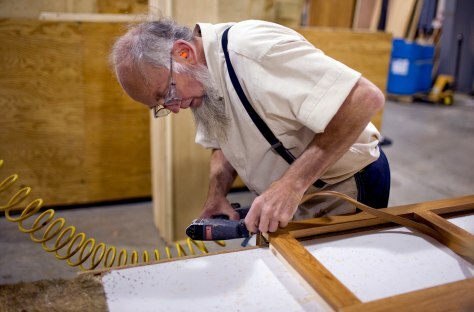 About half of their assembly work force, like Yoder, are Amish.